Daimler AG and its Chinese partner, BAIC Motor Corp., plan to invest nearly $2 billion to set up a factory in China, deepening the German automaker’s footprint in the world’s largest auto market. The pair will invest more than 11.9 billion yuan ($1.9 billion) in a factory for their joint venture, Beijing Benz Automotive Co. The facility will manufacture luxury Mercedes-Benz cars, including new-energy vehicles, BAIC Motor said in a filing to the Hong Kong Stock Exchange on Sunday. 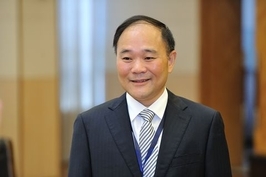 Daimler’s planned new investment in China came one day after Li Shufu, chairman of Zhejiang Geely Holding Group Co. Ltd., acquired a 9.69% stake in the German automaker, becoming its single largest shareholder. Daimler has recently been on a drive to ramp up development of new-energy vehicles to meet China’s strict sales quotas, which are set to take effect next year. 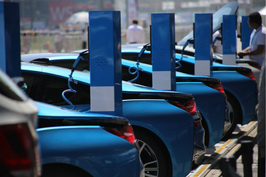 The quota system will require new-energy vehicles to account for a certain percentage of all automakers’ sales, with the amount set to increase in 2020. Early this month, Daimler’s $100 million investment in the new-energy car unit of BAIC Motor — BJEV — received approval from the National Development and Reform Commission, China’s economic planner. 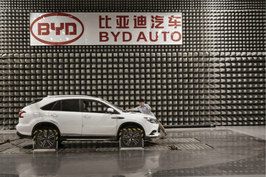 In addition to the BAIC tie-up, Daimler also has agreed to develop new-energy vehicles with Shenzhen-based BYD Co. Ltd. The German automaker’s BAIC alliance is more focused on pure electric vehicles, while its work with BYD is more focused on plug-in hybrids. BJEV is China’s second-largest producer of new-energy vehicles, selling 104,500 units last year, according to the China Passenger Car Association. China has become one of Daimler’s most important markets. It sold 610,000 vehicles last year, of which more than 70% came from the joint venture Beijing Benz Automotive. At the same time, Beijing Benz Automotive — which is controlled by BAIC — also made up a large share of the Chinese automaker’s business. 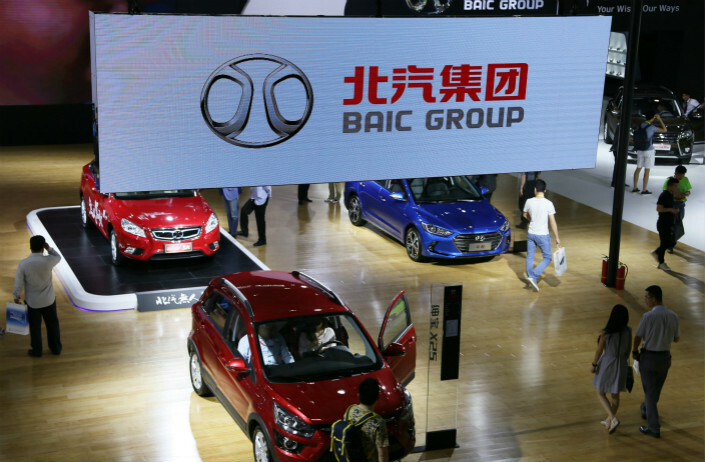 BAIC Motor has estimated it will earn a profit of 2.23 billion yuan in 2017, largely from the sales of the joint-venture brand, excluding losses by its domestic brands such as Beijing Hyundai.